The farm borders the Quantock Hills, a couple of car parks are within a 10-15 min drive to allow your to explore some of this Area of Outstanding Natural Beauty. We’d really recommend you try and include a trip there, even if it’s only a quick stop – the views are amazing – Emma or Mark can show you the easiest places to reach – there are OS maps available in the Barn to borrow. 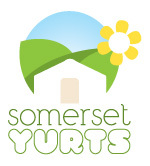 Explore hidden gems and little known places in Somerset and Exmoor, many of which are near us here at the yurts – have a look at the Secret Somerset Website for inspirational place to visit! West Somerset Railway is a country branch line of the old Great Western Railway offering a nostalgic ride back in time around the gentle, rolling Quantock hills to the North Somerset Coast. The childrens events timetable is here. Read more about our trip on the West Somerset Railway. Geocaching is a real-world, outdoor treasure hunting game using GPS-enabled devices. Participants navigate to a specific set of GPS coordinates and then attempt to find the geocache (container) hidden at that location. You can download an app for your iphone (often free for a limited number of geocache searches) and there are a number to explore in the vicinity of the Yurts: Geocaching locations near the yurts. Exmoor National Park is truly one of Britain’s most breathtaking places. Wild landscapes meet soothing tranquillity, and you may even catch a glimpse of wild Red Deer or a native Exmoor Pony. The North Somerset Coast has something for everyone. From picturesque towns and quaint harbours, to bustling marinas and busy seaside resorts all situated along a stunning stretch of coastline. The Museum of Somerset tells the county’s story from prehistoric times to the present day using real objects combined with evocative films, sounds and images, and the voices and words of Somerset people past and present. The museum has set a new standard in the county for a modern visitor attraction and is Trip Advisor’s number one attraction in Taunton. Admission is free 10.00am – 5.00pm (last entry 4.30pm) Tuesday to Saturday, and Bank Holiday Mondays. Open on Mondays during the main summer school holidays (ie 24th July – end of August) … please note closed Sundays all year. Join farmer Mark and have a look at our dairy farm – in the school holidays Wednesday and Saturday around 4-4.30pm, confirmed by Emma during your stay (very occasionally the farming schedule doesn’t allow, but we try to make sure it happens!) – meet some calves, and see the cow’s being milked in the milking parlour. We love showing yurter’s around the farm, and children in particular love learning about where their milk comes from! Another great activity option for group bookings looking for adventure! Choose from activities such as mountain biking, archery, coasteering, raft building, and more. Pre booking is essential.